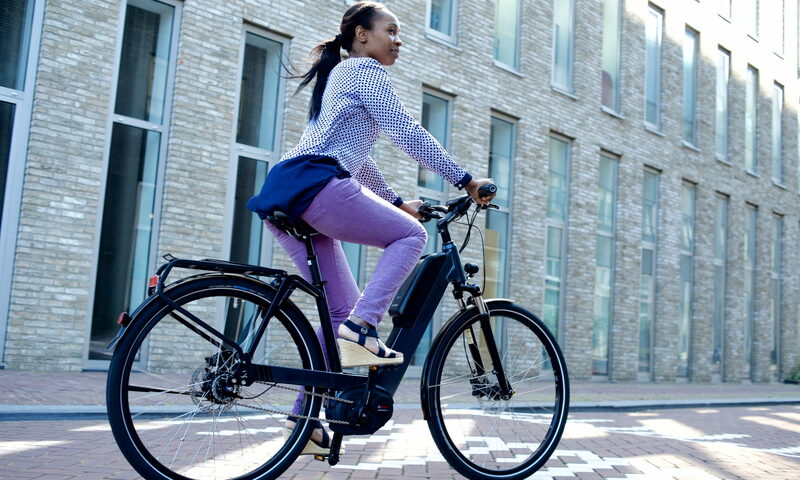 Riese & Müller’s Culture and Homage electric bikes both have step-through aluminium full suspension frames and Bosch motor systems. The Culture is very practical for city use, with a low step-over height, built-in lighting and lock. The Homage is a bit sportier, the central battery keeps the weight low and in the middle.